For high school students preparing to take the SATs, getting a good score can be crucial to securing a scholarship. Many colleges and universities offer merit-based scholarships based on SAT scores. Alabama State, for example, offers a full ride to students with a 3.76 GPA and an SAT score of 1240 or higher. 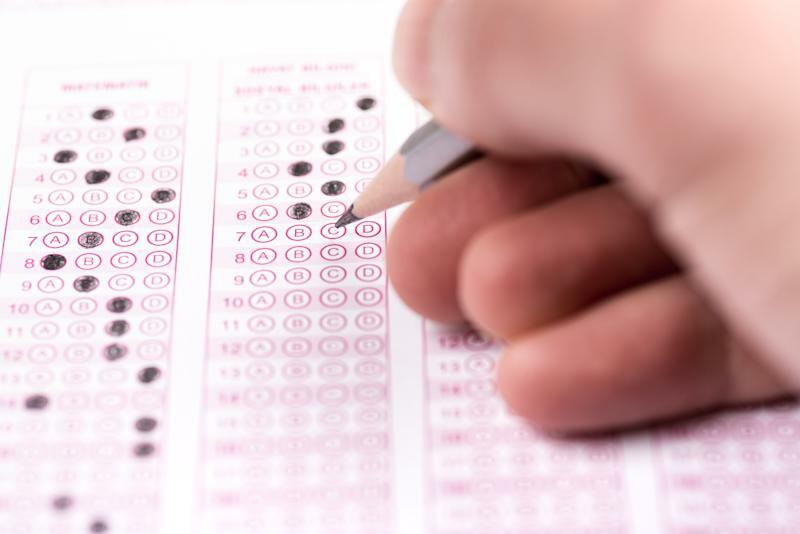 While scoring a perfect 1600 would make you a very desirable candidate, the College Board says only a “fraction of a percent” of students score a 1600 on the SATs. In 2018, 2.1 million students took the SAT, and the average score was 1068. While you most likely need to score higher than that to secure scholarship money, Brooke Hanson, CEO of Supertutor TV, says the key to doing well is to treat the SAT like a game. “A lot of times kids get so wrapped up in the little tiny words and the little details of the question, that they don't really stop and sort of feel it out,” she says. Hanson says it’s important to look at the context and main idea of the question, as opposed to focusing on individual words. The answers will click, and you’ll begin to spot patterns, she says. Hanson also says it’s very common to make careless errors in the math section that can cost you points. She recommends rereading each question so you understand what the test is asking. If you want to ace the essay, Hanson says the key is to practice as much as you can in advance, because this is often the most challenging part for students. She recommends writing at least one essay before test day, and setting aside six to 10 weeks of SAT prep ahead of the test. Hanson, who scored a perfect score on both the SAT and ACT, offers online test prep. The Khan Academy is another free online resource offered through the College Board. If you take the test and don’t do as well as you had hoped, Hanson says you can simply plan to take the test again. “I think if you take that pressure off — ‘I have this one day in which to make or break my entire future’ — and say instead, ‘You know what? I've got several chances,’ you're going to be in better shape,” Hanson says.